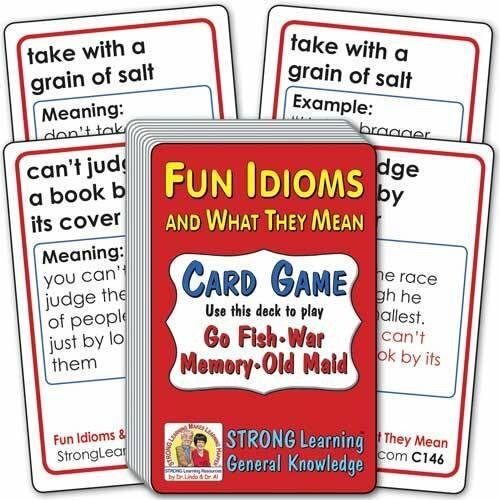 Learn about Fun Idioms and What They Mean while playing popular card games. Matches are two cards with the same idiom written at the top. One card of each matching pair gives the Meaning. The other matching card has an Example of how it's used in a sentence. A Great Value! As with every Strong Learning card game, play any or all of these matching games with the same deck: Go Fish, War, Memory and Old Maid. Everything is included. Ages 7 through adult.